The number of registered vehicles in the United States hit a record 276 million last year, and sales of cars and trucks were steady, confirming that the huge drop in sales of a decade ago was attributable to a bad economy rather than a long-lasting shift away from “car culture.” Indeed, the four-wheeled population is growing faster than the human population in many dense cities with strong economies, including New York, Los Angeles, Chicago and Boston. This growth is mostly attributable to households’ buying second or third cars. As they have been for over a century, cars are seen as a marker of prosperity, both as a measure of the national economy and as a symbol of personal success. It is disappointing that this cultural tradition continues despite the need to reduce greenhouse gas emissions, a leading cause of climate change. The total mileage logged by U.S. drivers is once again on the rise after a widely heralded decline during the last major recession, and the Census Bureau reported that 76.4 percent of U.S. workers drove alone to work in 2017, a slight increase from the previous year. The data suggests that Americans use their cars less only in times of abnormally high fuel prices or high unemployment. But our commitment to protecting the environment is worthless if we act upon it only when times are bad. The four-wheeled population is growing faster than the human population in many dense cities with strong economies. There are ways to make nonessential driving less attractive, even if federal and state governments are reluctant to use them. The federal gas tax, for example, has been frozen at 18.4 cents per gallon since 1993. Twenty states and the District of Columbia are more flexible, imposing additional per-gallon gas taxes that rise with inflation or with the price of fuel. But this may be getting things backward. Instead of adding to financial burdens when the price of gas goes up, it could make more sense to increase the tax when falling gas prices encourage people to drive more. There is also logic in including electric cars and other fuel-efficient vehicles in a tax scheme, since they reinforce the habit of driving everywhere. Other policies worth consideration include taxes on mileage rather than fuel, with which Oregon is experimenting, using a measurement device affixed to cars; congestion pricing, or tolls on entering heavy-traffic areas where there is adequate public transit; and infrastructure improvements that allow for safe bicycling and walking. 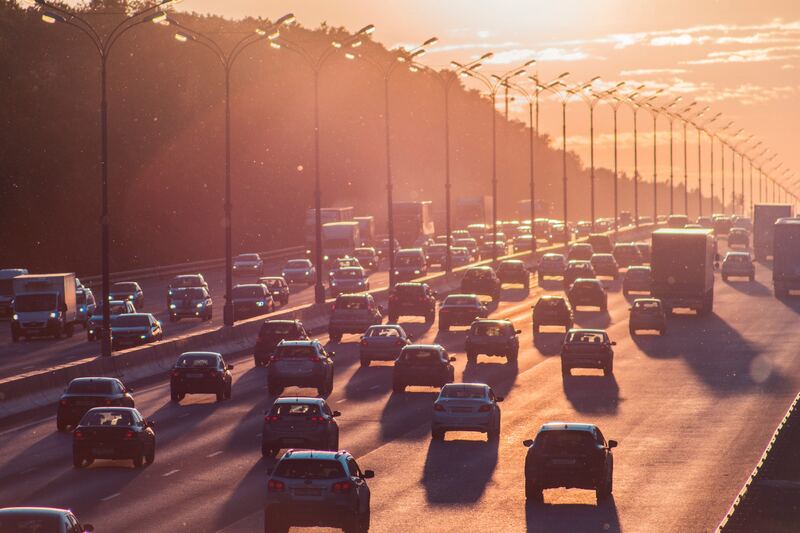 Any policy aimed at reducing greenhouse emissions should be sensible enough to take into account the needs of rural areas and workers for whom driving long distances is part of everyday life. But recent job growth has been concentrated in large urban areas where solo driving is both wasteful and destructive to the environment. In these places, it is essential to discard the idea that prosperity means more and bigger cars on the road. This will go well in California. Maybe it’s time for America, the magazine, to move to Kansas. Jesus took a donkey to America? Impressive. Stopping further pollution is service to our Planet. I have a car because I HAVE to have a car and I have no other choice given the paltry state of public transportation. When I worked, I carpooled. Democrats and Republicans were in car pools together. People just don't have cooperative skills anymore. The concept just isn't written into their brains. As for prestige automobiles, I have no financial worries today because while I wanted a Corvette or a 280Z, I bought a Chevy Nova. Thinking about cars as any more than a machine or a tool is irrational. And you righties can hate my Prius all you want but it's 9 years old, 156,000 miles, and going strong. P.S: Due to electrodynamic braking, I still have my original brake pads. Why would anyone hate a Prius? What people don’t like is the often smug faux superiority of many that own them. The Prius is a practical car. I am an engineer. Does anyone ever think BMW owners are smug faux superior? I suppose these mental projections on others are meant to make the projector feel smug and superior. I like it, I like it very much. We are hoping to go from 2 to 0 cars this year! I guess if you're located in a dense city, it's possible to pull that off. Of course, having no car is the best scenario. Good luck to you. Please reconsider gas tax advocacy. It is so regressive. Please think of all of the small, often family owned businesses that we all depend on every day for plumbing repairs, electric power and lighting installations and upgrades, roofing installation and repair, landscaping, and on and on. They must operate heavier pickups at a minimum, often pulling trailers loaded with equipment and materials. These are gas guzzlers and account for a large proportion of operating expense. The operators are not showing off. A tax on the working poor. Do people at America ever notice the news coming out of France? Or, even more easy. Time to move to more renewable sources of energy to power vehicles. J Cosgrove is correct (for once). For those in rural areas, cars are a necessity of living. Literally life saving in many instances. Moving away from car-ownership is born out of an extremely entitled viewpoint. As a method of transportation, automobiles are absurd. Anybody who has to commute daily finds himself regularly stalled in traffic jams in a vehicle that can exceed 100mph. It is an irrational setup for moving people. If they ever pull off the self-driving AI thing and ban manual driving, there's a chance it could work better. Great opinion for a bunch of celibates who don't have to take rug-munchers to nursery school. America Magazine, get a life. Your opinions are risible. This article also appeared in print, under the headline "Don't you buy me a Mercedes-Benz," in the February 4, 2019 issue.